Fast track this racing app to the top of your download queue because it is fun, educational, and lets kids design their own racing tracks. Based on the Nick Jr. Blaze and the Monster Machines TV show, this app offers fans two ways to play with Monster Truck Blaze and his driver AJ: race over 45 tracks or build your own. Players select one of three locations for racing, with each location offering 15 tracks to explore. Before each race, the app introduces a mini-lesson about science, technology, engineering, or math (STEM). Then the race incorporates an aspect of the lesson taught. For example, to demonstrate adhesion, a racetrack will be riddled with puddles of sticky goo. 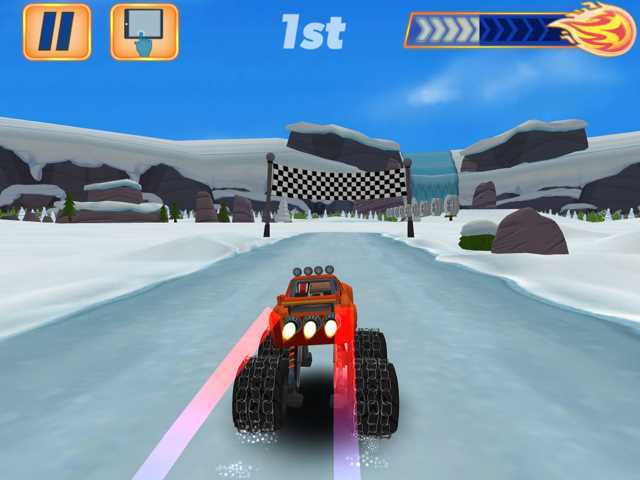 Players can only choose to race Blaze, although his fellow Monster Machines show up as competitors. When the race starts, Blaze moves forward automatically. By swiping his finger to the left or the right, the player moves Blaze into and out of three lanes. In this manner, kids make quick decisions about running over pads that provide a boost and other power-ups, avoiding hazards, collecting hubcaps (the currency) and taking shortcuts. When Blaze has collected enough hubcaps to fill his "Blazing Mater," players can tap on him during the race to get a speed boost. 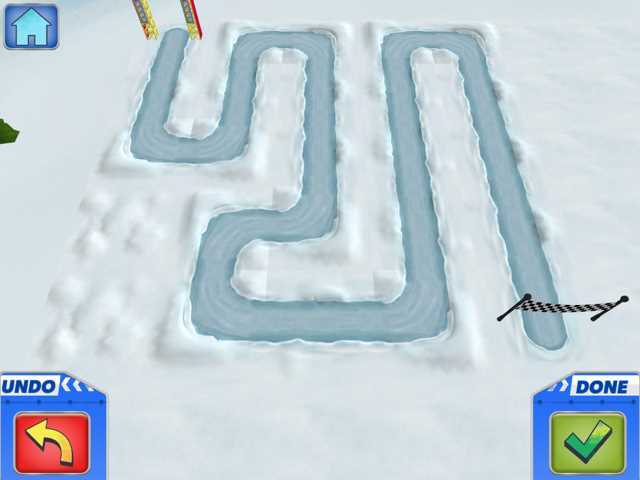 The Build section of Blaze and the Monster Machines consists of drawing a path in a square from the Start line to the Finish. Kids can decide how curvy their track will be. Then they have options of dragging and dropping extras onto their track, including hubcaps to collect, power-ups (magnets, boost strips, etc. ), fun jumps, loop-de-loops, and hazards. The best part is that after designing the track, players can put the pedal to the medal as Blaze roars through it. It's hard to get the balance right in racers for young children. Frequently, the controls are just too hard, which causes kids to crash and lose the race. 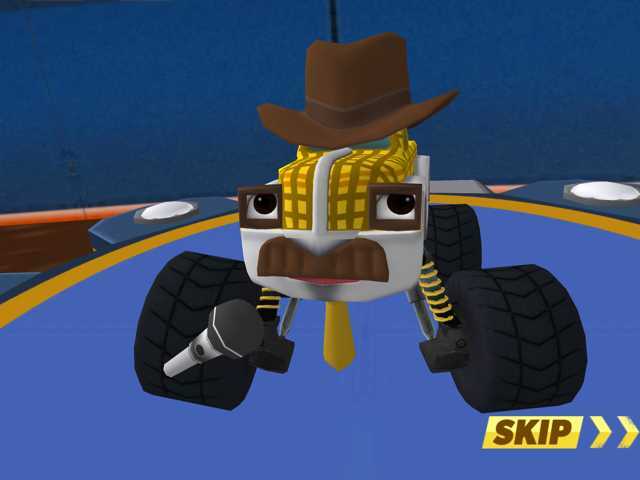 By taking away acceleration and braking, Blaze and the Monster Machines lets kids focus on making decisions about which of three paths Blaze should take, and it thus creates a racer where the controls are about right. The races do get progressively harder, so if your child is getting frustrated, suggest playing the easier courses. 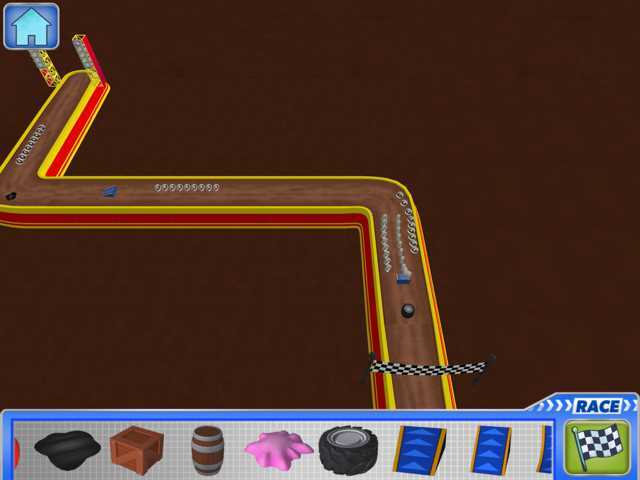 Cleverly, Blaze and the Monster Machines introduces learning into the racing and power-ups. The STEM mini-lessons are spoken aloud and tie into subsequent races. Kids will hear lessons on adhesion, acceleration, traction, force, and much more. During a race, a power-up may relate to the science taught, such as picking up tire chains to better deal with an icy patch. Blaze and the Monster Machines crosses the finish line near the top of our ratings meter because of the education introduced before each race and the inclusion of the nifty build-your-own track section of the app. We hope that subsequent updates will let kids choose which of the Monster Machines they want to control, and that the choices include the female trucks. 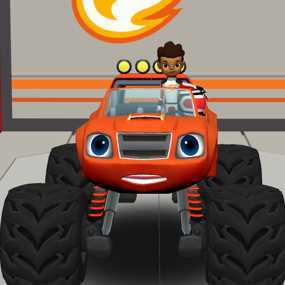 Blaze and the Monster Machines is a must-have app for fans of the show. It is also a good fit for children who love cars, trucks, and all things that go vroom. 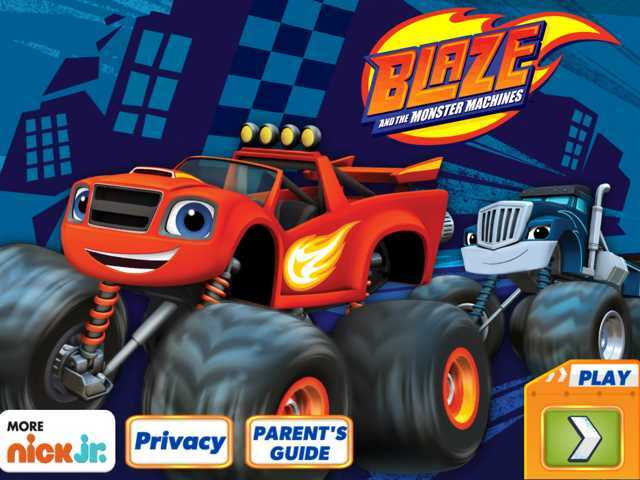 This Blaze and the Monster Machines app review was written by Jinny Gudmundsen.